This is really the story of two men – both “operators” in their own way. Set in England, it follows the career of a businessman from a privileged class who has risen to the position of greeter for an investment firm. After time in the army, as well as working for Security Offices, he uses his connections to get to the top of his position in a world where everyone seems to have money to invest. Alongside this success story runs the life of a much lower entrepreneur, called Charlie Summers. Whether in London, or in small English towns, every enterprise he undertakes, with such high hopes, seems to capsize beneath him, leaving him more and more destitute as the book goes on. The story throws these two men together over a series of coincidences, starting in the south of France and continuing in England. As things turn out, and as we have been watching in the financial news these last years, the investment world rather suddenly turns upside down, leaving the wealthy greeter not only out on the street, but in a difficult position facing AlQaeda representatives who abruptly reveal their true colours. In a startling ending, Charlie Summers once again turns up. This time, as the “Financial Times” writes, he attains “real pathos at the end of this affecting, skilfully crafted novel”. 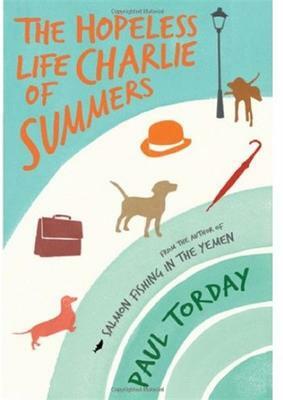 Paul Torday made his mark on the literary scene with his first novel, “Salmon Fishing on the Yemen” in 2006. This is his fourth novel and shows the same fine writing and deft and likeable comedy. This is the very exciting story of a wife who joined her husband on harrowing adventures at sea during the last days of the Age of Sail off Canada’s Atlantic coast. This was the l860’s. Azuba Bradstock had married Nathaniel and presumed she would stay with him when he took the next cargo abroad. He refused to take her with him, and she spent months in Whelan’s Cove overlooking the Bay of Fundy, looking after her young daughter and hating the life of captains’ wives left at home. The next trip she and young Carrie joined the ship. The writing and descriptions of their adventures is breath-taking. These trips covered the whole map: over to England, with gala days in London, then down to South America with excruciating days in The Doldrums, food running low, wild storms that almost prevented their rounding Cape Horn and a mutiny en route to San Francisco. By the time they got home, Azuba accepted her husband’s views, and skipped the next trip. She would make one more voyage, complete with a new baby and nurse-maid and this time she stepped in to save her husband’s life when pirates boarded their ship and beat up the crew. This book goes way back before “women’s lib” but it does raise, in a tumultuous way, a woman’s place in a world where the husband has to make wrenching decisions in the face of an ever-demanding sea. 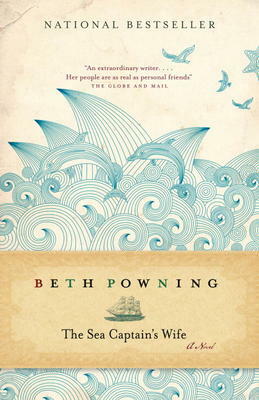 Beth Powning lives in New Brunswick and writes brilliantly about this world. She has written four earlier books. John Ralston Saul believes the government of LaFontaine and Baldwin laid the foundations of Canada at its best. In this book from the Extraordinary Canadians series, Ralston Saul shows how these two leaders of Lower and Upper Canada respectively worked together to give us the democratic federation we have today. The dates of their success were l848-l85l – not l867 as we are accustomed to celebrate. What they achieved did not reach most Western countries until about a century later. Ralston Saul describes the struggle both Lafontaine and Baldwin faced as power in the new land of Canada gradually passed from the old elites of Whig and Tory to a new Reform party that would give the citizens Responsible Government, free from a governor of the British Empire. It made Canada the first Responsible Government in any colony in imperial history. 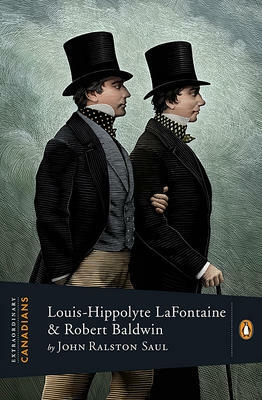 Lafontaine and Baldwin were each distinguished leaders in their parts of Canada. They had witnessed the failures of the l837 uprisings, and each had decided on restraint as the only possible way of getting together. The added element was the genuine liking and respect they had for each other and this is a very charming part of the book. The book is written clearly and well and explains why Ralston Saul’s thirteen works have been translated into twenty-two languages in thirty countries. It also gives a clear, succinct picture of part of our history that a lot of us wish we had been taught at school ! Come down to Books on Beechwood on Saturday, January 15 to meet Christian McPherson, who will be signing his debut novel “The Cube People” from 12:00 to 2:00pm. “The Cube People is Dilbert as if possessed by a libido the size of Ron Jeremy’s and the humour of Steven Wright. A book for the sci-fi-obsessed but cubicle-bound geek in all of us, and for anyone who has dared to make art but face rejection.” -Grant Lawrence, CBC Radio host, author of Adventures in Solitude. “There is something to be said about a book that can keep you so deeply immersed you finish it in a single day…between his book’s rejections, his baby-obsessed wife and horrible day job, Colin becomes the everyman for anyone who has been constantly beaten down and hoped for salvation.” -The Charlatan, Independent Weekly Student Publication at Carleton University. So, come down to the bookstore on the afternoon of Saturday, January 15 to meet the author, have a chat, buy a book (or two), and get it signed! We look forward to seeing you!